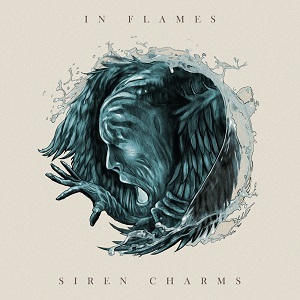 Currently viewing the tag: "Siren Charms"
"Whenever I hear that there's a new In Flames record, I can't help but feel my heart sink a tad more. Anyone who was around to experience the majesty that was their first four full-lengths (as well as the Subterranean EP) knows what I'm talking about: soaring folk influenced twin-guitar melodies with beautifully heart-stopping acoustic interludes. The band had an undercurrent of heaviness that wasn't too extreme, but was just right for their sound. They had a sense of youthful exuberance and actual purpose... Then the 2000s happened." And it keeps happening again and again!